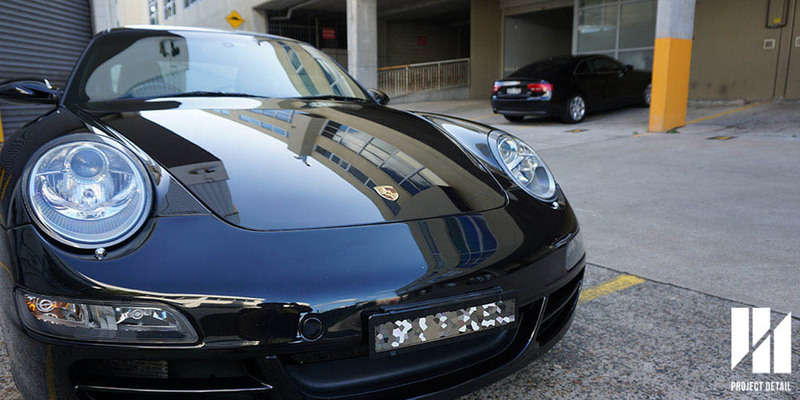 Project Detail Sydney specialises in car detailing and is an official installer for Modesta Glass Coating. 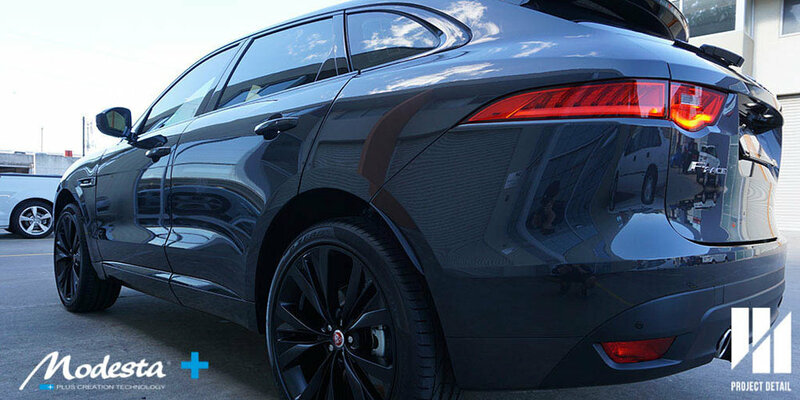 This Jaguar F Pace looks spectacular in the afternoon sun, coated in Modesta BC-04. 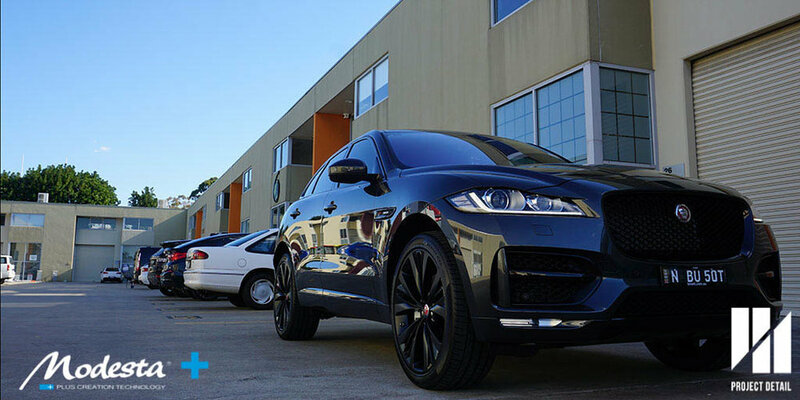 The Jaguar F-Pace made quite a splash on it's release in 2016, arriving around the same time as two other luxury SUV entrants; the Bentley Bentayga and the Maserati Levante. It's looks were uniquely Jaguar but it managed to transition into a small SUV quite smoothly and carried over it's success in recent years. This particular F-Pace in Ammonite Grey Metallic was dark and contrasting. 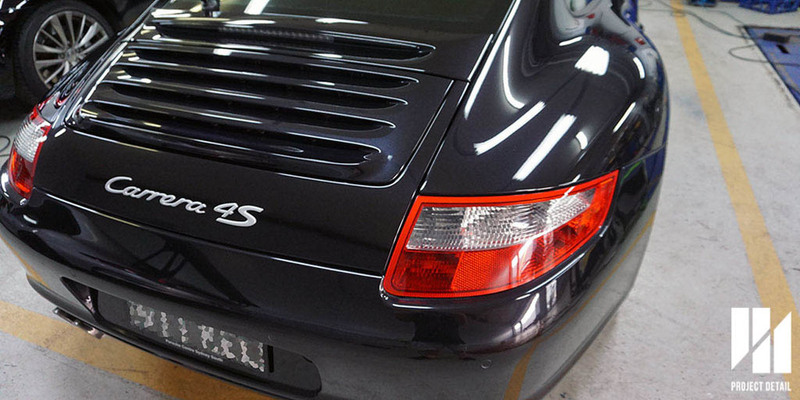 The owner came from Mosman, wanting to provide it with an exclusive and effective paint protection. 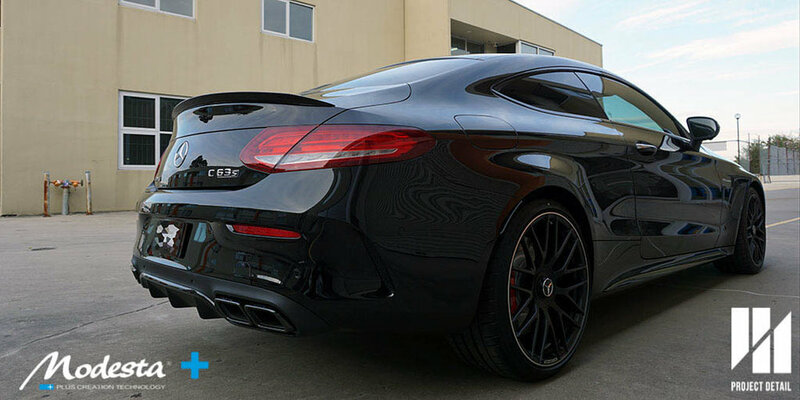 After researching and going through the various options with us, the owner opted for Modesta BC-04 Nano Titanium Glass Coating for its durability and high gloss and additionally Modesta BC-06 for the beautiful two-tone black wheels. A key point of difference to Modesta versus other coating systems available in Sydney, Australia is that Modesta is a complete system. While other coatings have a universal product or just a standalone product, Modesta provides a comprehensive solution offering over 4 types of coatings. Each one has a different chemical makeup and provides a different solution; providing the best results matched for different colours, varying durability and the difference between hydrophillic and hydrophobic. 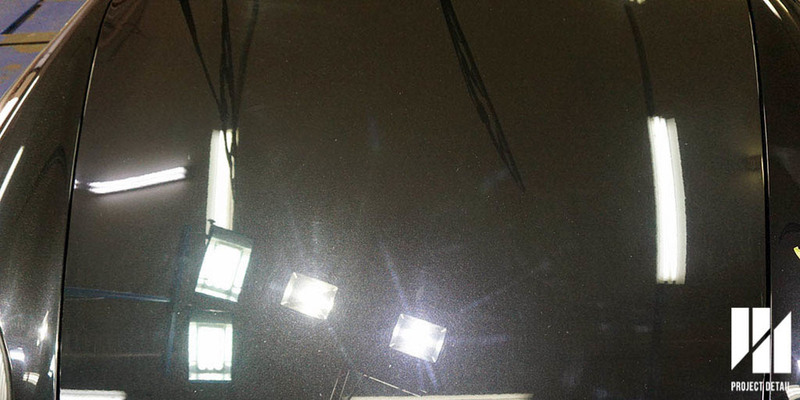 The car exhibited light swirl marks and light marring after our wash and decontamination process. 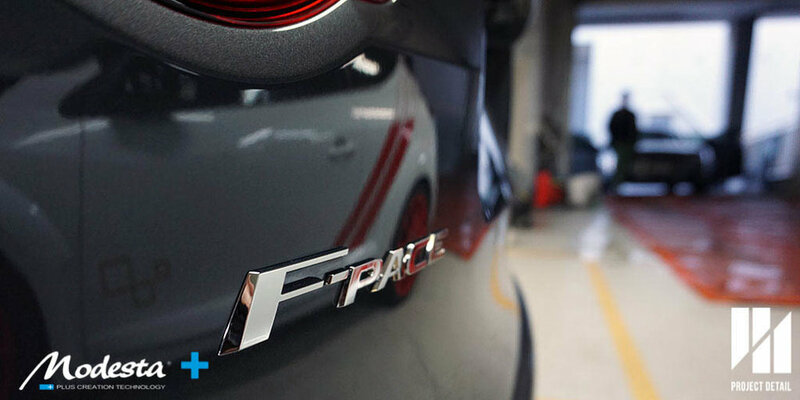 The F Pace underwent our 21 Stage Wash & Decontamination, making sure it was ready for inspection and paint correction. Modesta produces a groundbreaking system, starting from quality products like C-02 Compound. 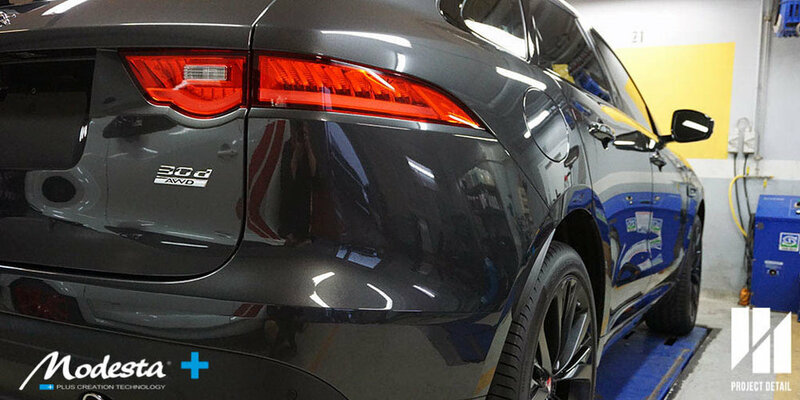 The Jaguar F Pace's paint correction is completed, the paintwork is already more glossy and luminous. Many clients ask why its necessary to polish and paint correct their new vehicle. 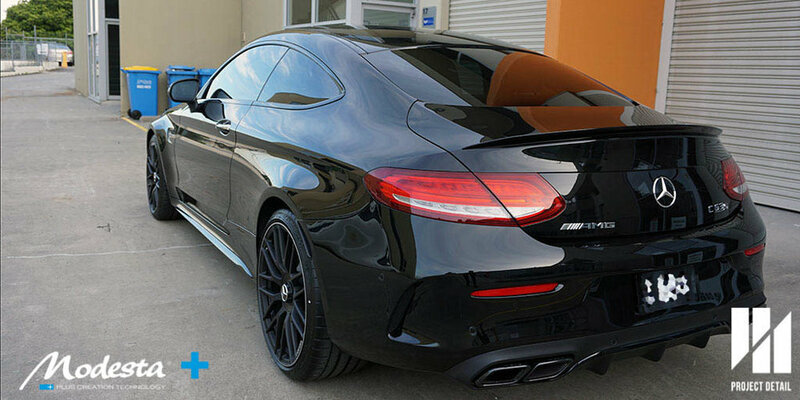 There are two major reasons, the first is to remove any light defects that may be leftover from the dealership such as swirl marks and scratches from the mechanics handling the vehicle. Secondly, in order the get the best results, the paintwork must be polished. There is no questioning this, the paintwork never comes from the factory as refined as it can be as it just isn't economical for the dealership. Modesta P-01A a truly unique product and an integral part of the Modesta System. 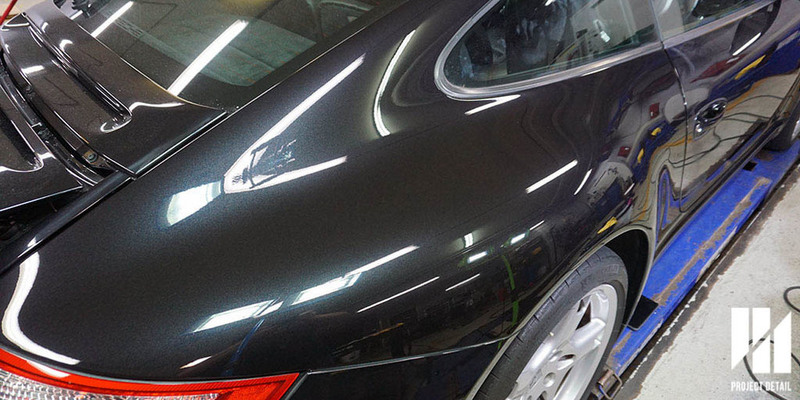 Once the paint correction is complete, the final step for a Modesta application is polishing with Modesta P-01A which is the specially designed primer. 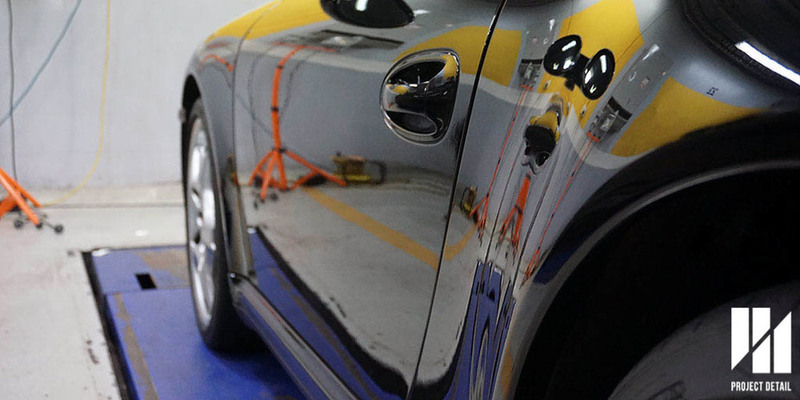 P-01A is an outstanding finishing polish, able to bring the gloss to an extremely fine level of clarity. In addition, P-01A contains an Alkyd resin which over a few hours binds to the clear coat creating its own coating which is measured between 8-10µm per layer. This product can be layered for additional thickness and compounding gloss. Modesta P-01A applied and awaiting removal and curing. Finally, the reason why P-01A is an essential step and is that it aids in the installation of the actual coating that is to come. 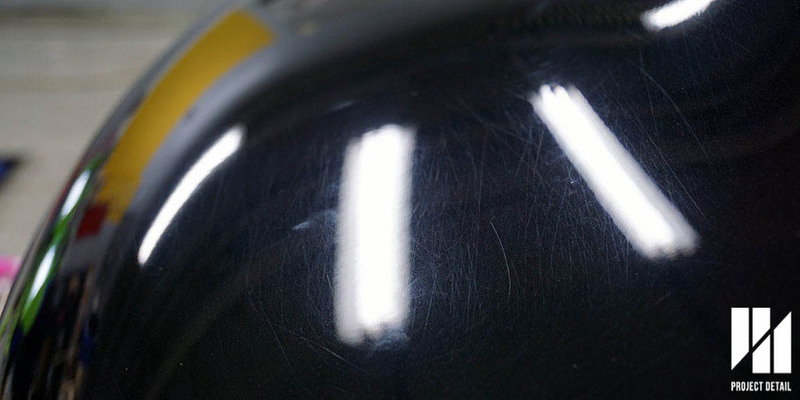 The coating bonds to the Alkyd resin, forming a much stronger and longer lasting result. 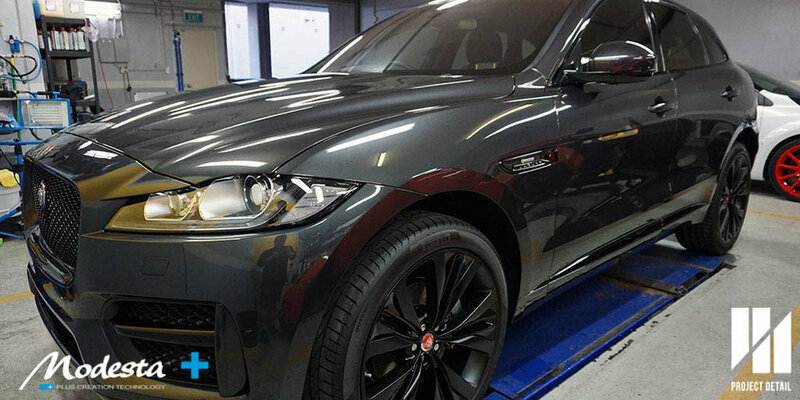 Jaguar F Pace with Modesta P-01A removed. 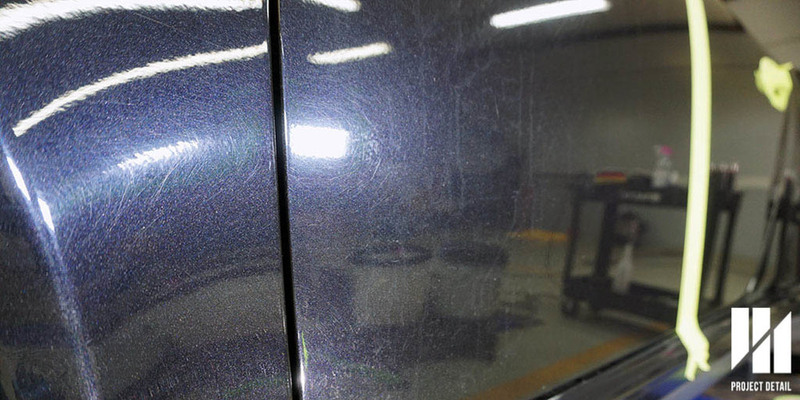 The gloss has improved significantly, in addition to the coming coating and curing, the final results will be stunning. 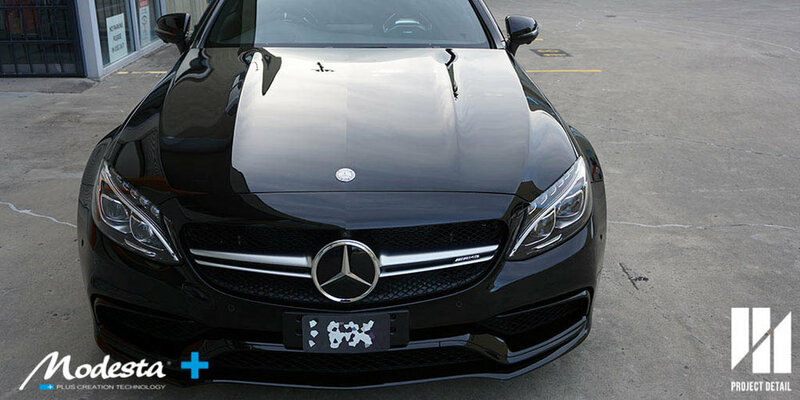 The owners decision to choose BC-04 among the various Modesta coating options was based off the desire for durability and also the prevention of water spotting. In addition to providing a deep gloss and shine on the Ammonite Grey Metallic, BC-04 contains titanium-oxide which adds to the durability of the coating. With a measurable thickness of 2-3μm, BC-04 is also hydrophillic by nature. Modesta BC-04 is applied under wet conditions, this makes it unique to almost all other coatings. This showcases the chemical makeup and the technology of Modesta is unmatched. Being hydrophillic, this is key to preventing water spotting long term which is especially prevalent on gun metal shades of colour. The hydrophillic surface allows the coating to 'sheet' the water rather then purely beading like many other hydrophobic coatings available. This allows the coating to better rid of the water which is likely to sit motionless and etch into the surface overtime. BC-04 is a hydrophillic coating applied extremely thickly under wet conditions. 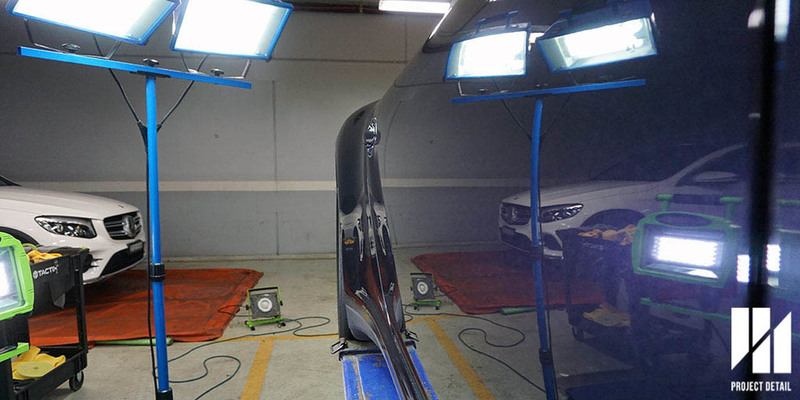 Once the coating has cured and has been removed from the surface of the paintwork, the coating continues to cure while leaving behind an unbelievably deep gloss and reflections. Modesta BC-04 application is complete. 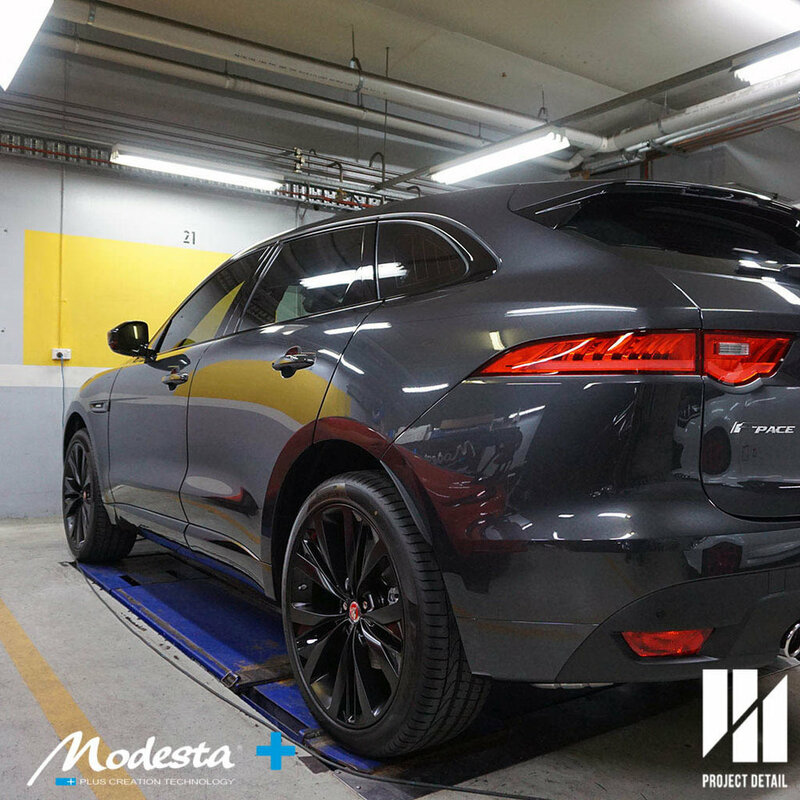 The Jaguar F Pace's coating undergoes Infrared curing which is critical to Modesta's system. Infrared curing is becoming more and more prominent to the coatings which exist in Australia. However, Modesta to date is the only one which requires the infrared to be part of its system. The infrared curing causes the solvents in the coating to evaporate faster and greatly accelerates curing but most importantly strengthens the molecular reaction and makes the coating stronger. Many other coatings are beginning to use these lamps in order to speed up their curing times but unlike Modesta the lamps are purely to speed up the curing and do not affect the chemical reaction. 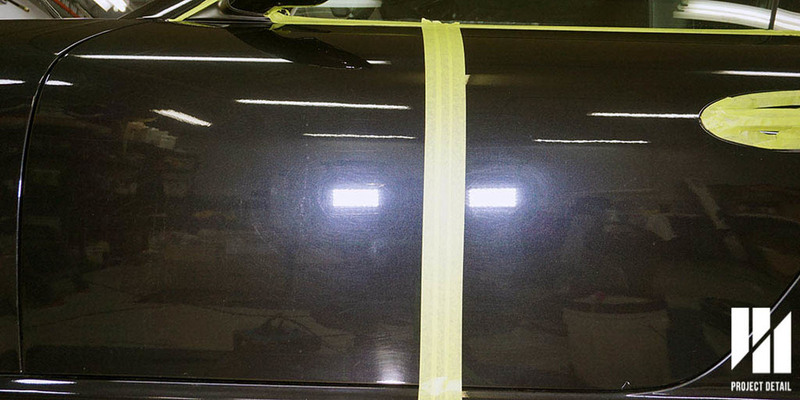 The entire body, every panel require infrared curing to reach full strength. 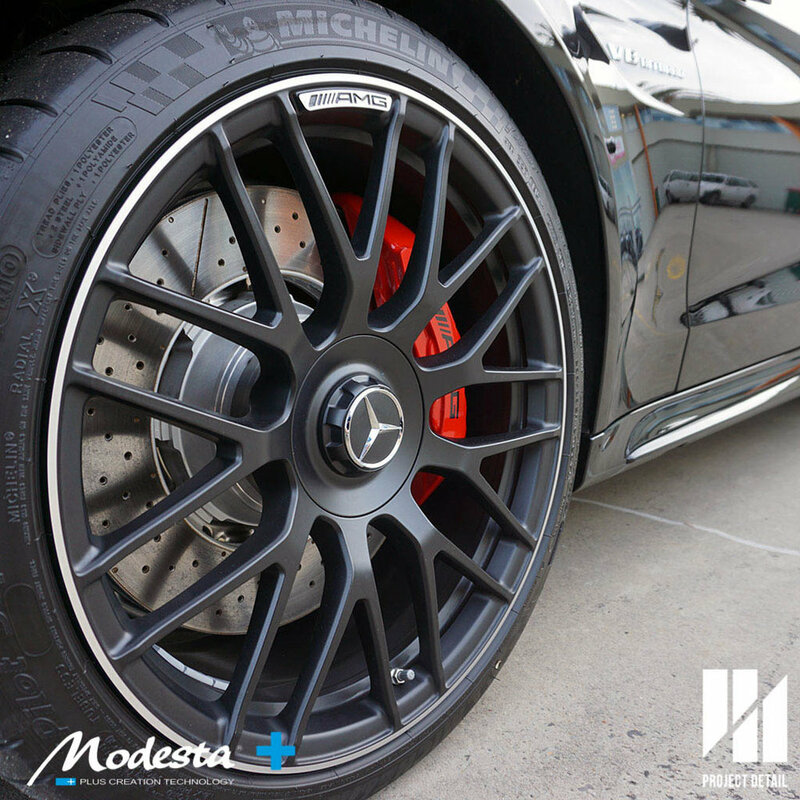 Modesta BC-06 is an excellent investment for all rims and performance brakes. 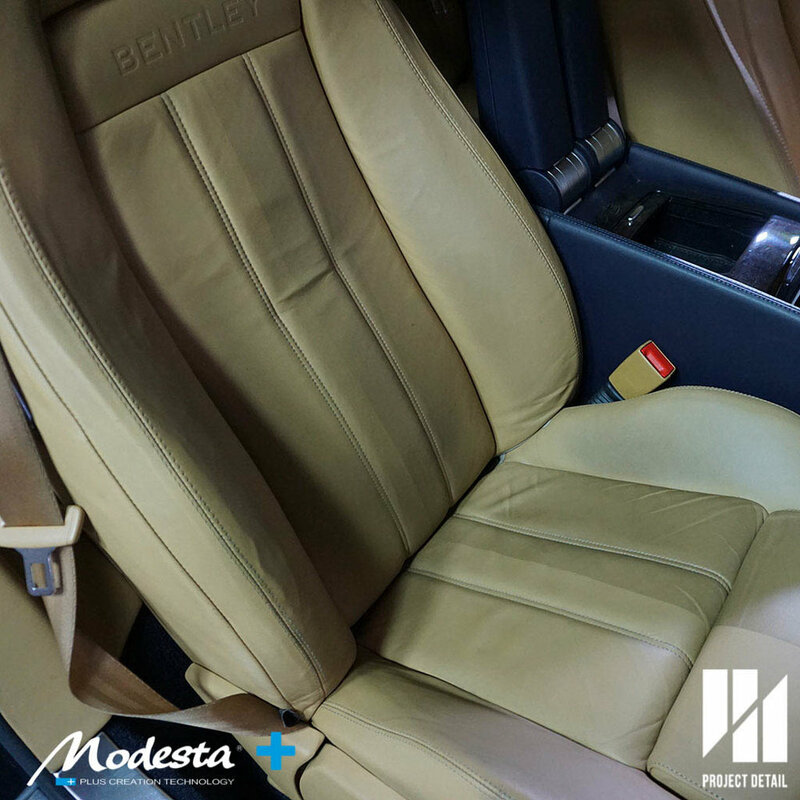 Modesta has a wide variety of coatings, as aforementioned each coating is specially designed to be different and be able to provide the best protection for its purpose. Modesta BC-06 is a primary example of this. Undergoing years of research, BC-06 is spray applied and coats the receiving surface with a thin layer of PHPS Silica (perhydropolysilazane) which in turn become extremely durable. Modesta BC-06 is spray applied and is fast drying once sprayed. Surfaces coated in BC-06 are extremely resistant to heat as the coating is designed to be resistant beyond other coatings in the Modesta range. By providing protection up to 1,300 °C, wheels and brakes are able to stay protected even with long term or extreme use. In fact, we have had great feedback from clients informing us that the coating has allowed his wheels to be extremely easy to clean post track use. 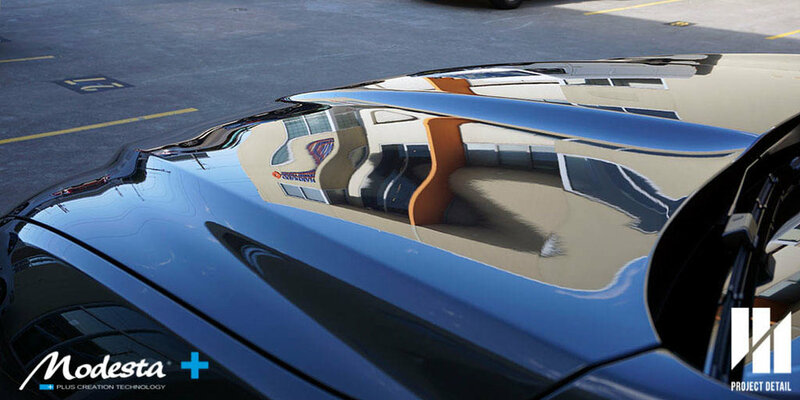 BC-06 creates a deeper matte finish and increases the gloss for gloss finishes. Once all the wheels are coated and have dried to the touch, the wheels are then cured with infrared just like the paintwork. For those concerned with how the BC-06 coating will affect their wheels, it is a brilliantly designed product which accentuates the gloss finishes while creating a much deeper and richer finish for matte finishes. These awesome Jaguar wheels are reinstalled and ready for years of abuse. All wheels prior to Modesta BC-06 require deep cleaning and preparation. There are also many little things we do to make sure each installation goes perfect for the client. Deep cleaning the wheels is a core component, because at Project Detail we are able to use our hoists and remove the wheels thoroughly they are then cleaned much more effectively then detailers who are not able to remove the wheels. In addition, something a little extra we did for this car is remove the Centre Caps, polish them and coat them in Modesta BC-05 for extra pop to give it a little extra effect. Inspired by Miracle Detail and Paul Dalton, even the Centre Caps are polished and coated! 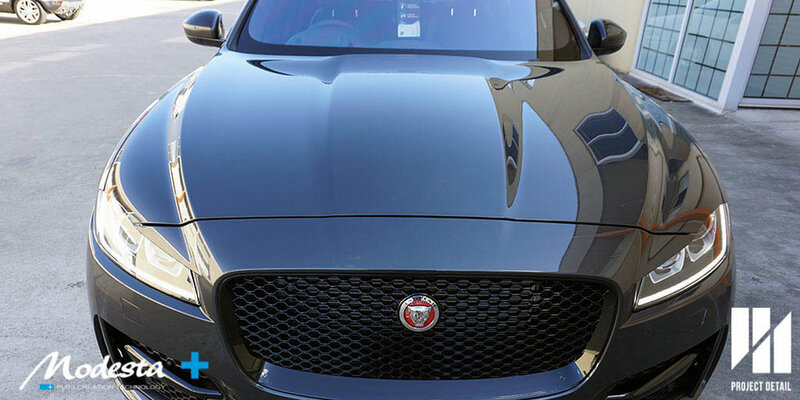 The Jaguar literally had a 'glass like' finish when it was first brought outside. It's extremely hard to describe how a finished product for Modesta looks and photos rarely do the car justice but Modesta is strikingly glossy. The culmination of all the steps, all the hours going into preparing a car makes it look amazing when it's complete. 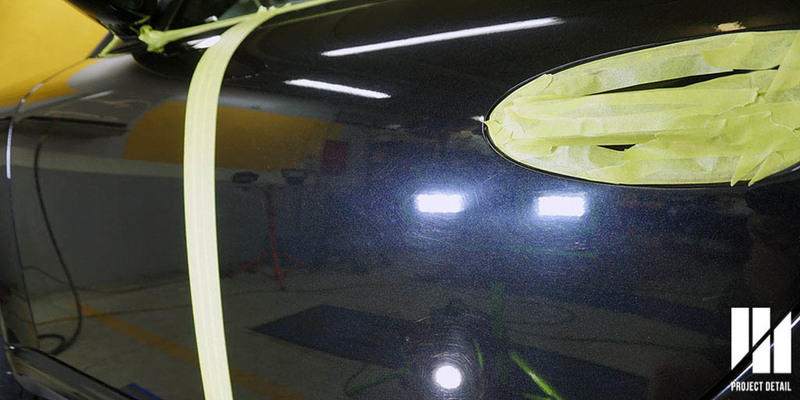 The following slideshow showcases the effects and how the car looked completed. Modesta requires 3-4 times the amount of time when compared to other coatings. This is not something extraordinary, but when a product has additional steps and is much thicker as an end result it makes sense that more time must be taken to prepare, install and finish the overall service. Modesta is also a very exclusive coating, with only 2 applicators per capital city in Australia the approach is vastly different then many other coatings which in the interest of selling products induct as many applicators as possible. Modesta and Project Detail's interest lays specifically in quality and the satisfaction of the client. The cost is definitely higher, and our clients appreciate the approach of quality rather than the approach of price matching or cost cutting. 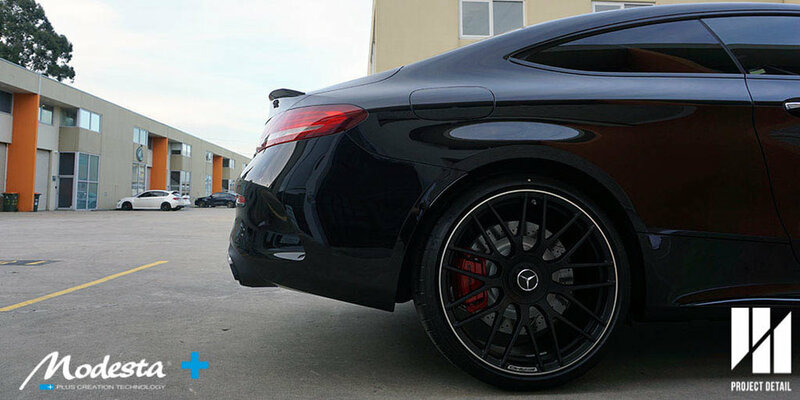 Gorgeous Wheels, treated and cured with Modesta BC-06 Heat Resistant Coating. Modesta BC-04, the results are self explanatory. If you would like to enquire about any of the services mentioned above, contact Project Detail by sending us an email or clicking here. 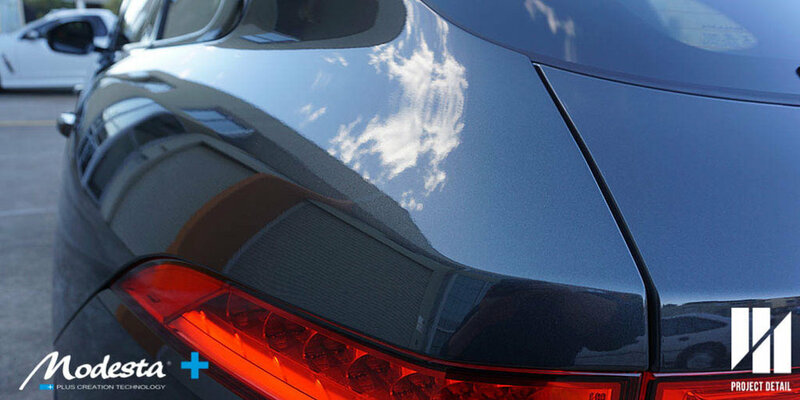 More information on the range of Modesta coatings can be found here. More details on our services can be found here. Imposing yet elegant, a Bentley always makes a statement. 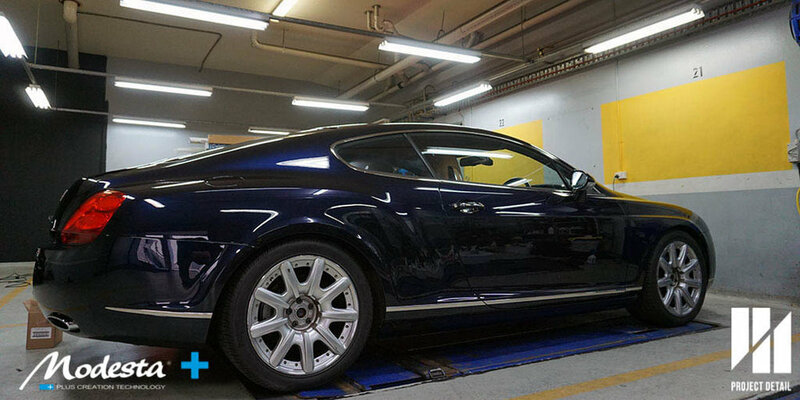 One of Project Detail's favourite vehicles to date was this 2006 Bentley Continental GT. The paintwork was a deep shade, Dark Sapphire and the interior was a unique scheme between the leather swatches, Saffron Brown and Nautic Blue for a two tone finish. 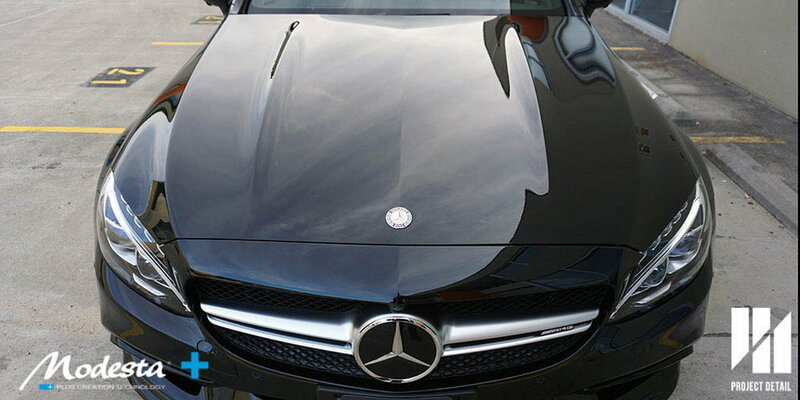 The car was finished in Modesta BC-05 Advanced Water Repellant Glass Coating. Bentley Continental GT's always have a special presence about them, their size, the long curved panels, the overly powerful but understated engine and the sheer luxury that's expected of the brand. 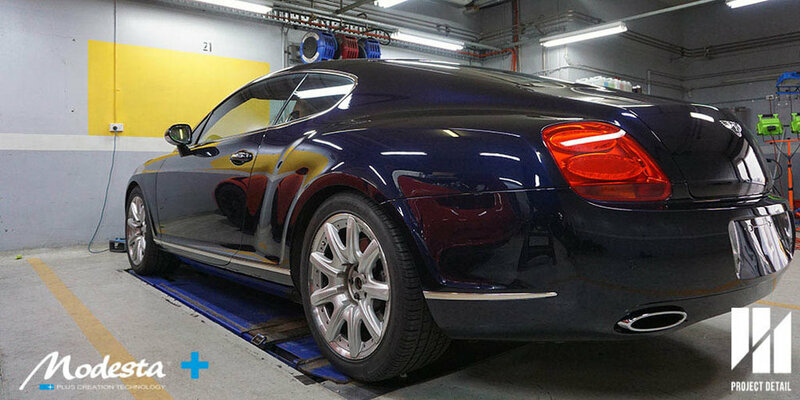 The owner had been overseas and the car bad been neglected for a long period of time, rather than use his mobile car detailer he entrusted his Bentley to Project Detail and made the trip from Mosman to our workshop in Gladesville. He was particularly interested Modesta's range of glass coatings as he had encountered them travelling abroad. 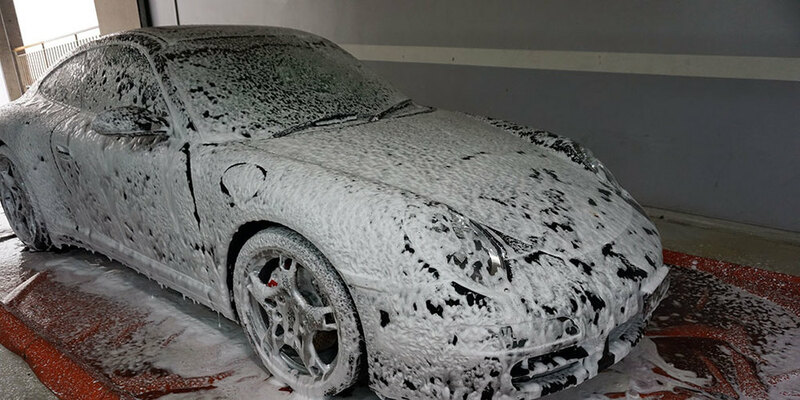 The car had clearly been not washed or detailed for a while. There was contamination and tree sap all over the paintwork. 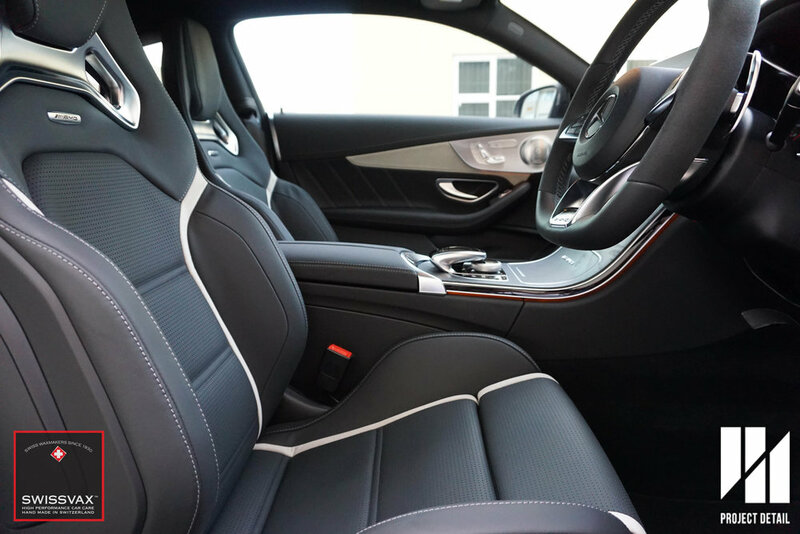 Because of the sheer size of the Bentley Continental GT, both the interior and exterior required some time in order to gently clean and restore. The interior was worn and showing the typical signs of body oils and grime, luckily the nappa leather in a Bentley is excellent quality and that allows for the deepest cleaning before rejuvenating. The exterior had swirl marks, was slightly oxidised paintwork and light marring. What was shocking, there were clearly some panels showing signs of it being repainted; paint runs and areas that required de-nibbing. Leather was dirty, we cleaned gently and conditioned the leather afterwards. Using a combination of steam, gentle leather cleaners and the right brushes we slowly worked our way through the leather. We were able to get some good photos illustrating the before and after and showcasing what can be expected. It's important to highlight that when cleaning leather, the better quality of the materials the more likely it can be cleaned and restored back to original condition. After cleaning, the leather was treated with Swissvax Elephant Fat (synthetic) treatment and then topped with Swissvax Leather Milk. The resulting leather was supple and felt very luxurious. 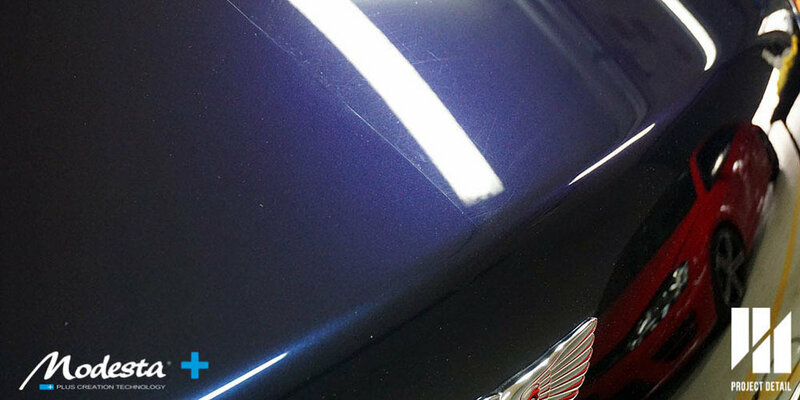 Due to the age of the Bentley, the paintwork required an extensive amount of polishing and paint correction. We used a combination of Rupes polishers combined with Modesta C-02 Compound which works well on European paintwork, cutting away the paint defects effectively while leaving a relatively high level of gloss compared to other cutting compounds. 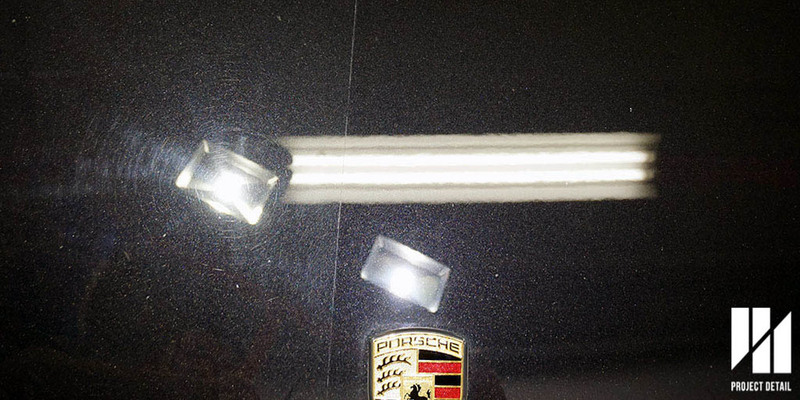 These photos showcase the before and after shots during the paint correction process. While these swirl marks may be negligible to some detailers, in order to obtain the highest finish no compromise is taken. The Dark Sapphire really had an intense glow and looked almost liquid after the paint correction process. We finished the polishing with an application of Modesta P-01A. This finishing polish also contains a special alkyd resin which serves a dual purpose making the Modesta system truly unique. The alkyd resin takes a few hours to cure and set. Once cured, it allows a better surface for the soon to come coating to bond. This ensures a stronger and longer lasting coating. Secondly, this resin coating (which is measurable between 5-7µm in itself per layer) gives a tactile surface to allow simply for better application. Because Modesta's range of coatings are incredibly thick in comparison to other coating systems, wiping can be difficult in certain temperatures or environments. 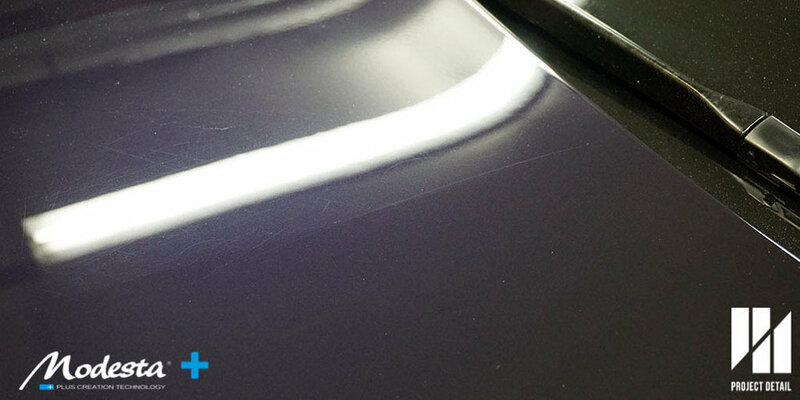 The P-01A forms a barrier allowing the coating to be removed safer without marring the paintwork. 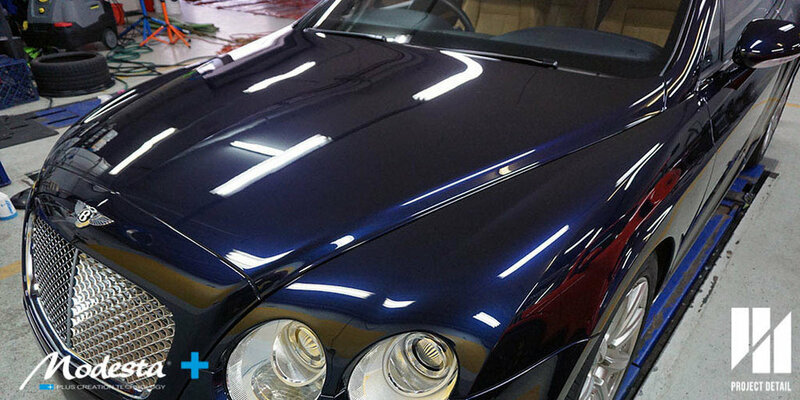 Bentley Continental GT coated with P-01A & BC-05 leaving a deep, liquid looking finish. The finished Bentley definitely attracted attention, it was a shame we couldn't finish the wheels as the owner was sending all 4 away to be refurbished. 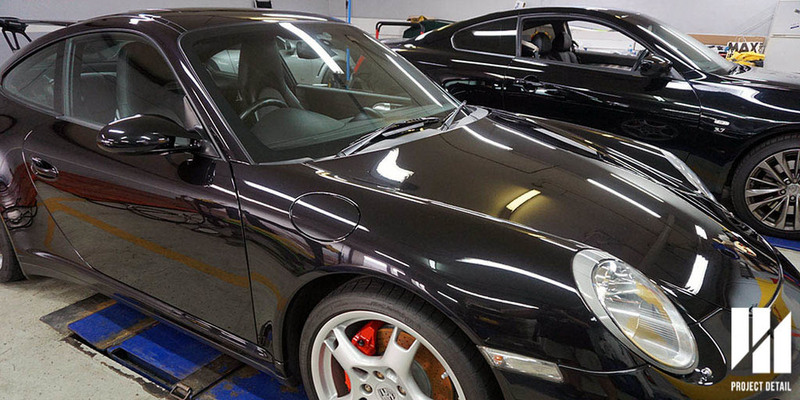 But as for the interior and exterior, 9 year old car was refreshed for the owner. 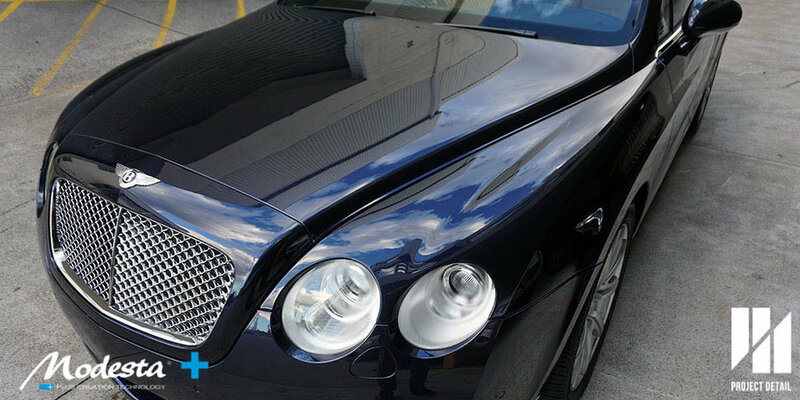 Our detailing includes all parts of the vehicle, being a Bentley there are many details parts. Not cleaning the W12 Twin Turbo Engine would be a shame. 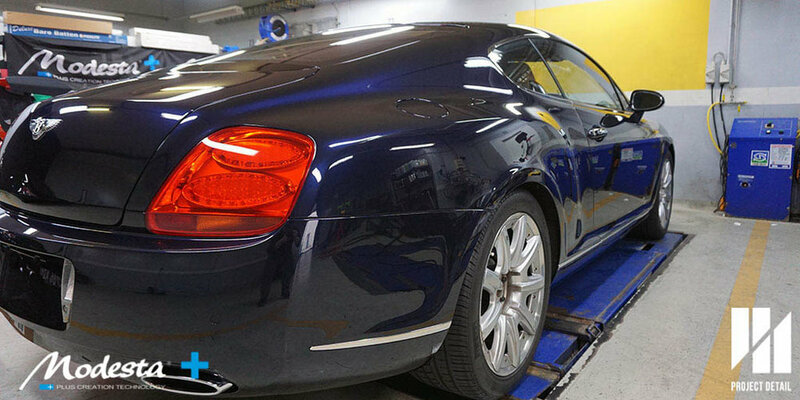 With Modesta BC-05 applied, the Bentley's paintwork naturally has candy like gloss, furthermore it will be much easier for the owner to maintain and wash. Here are some more photos show cashing the finished results. 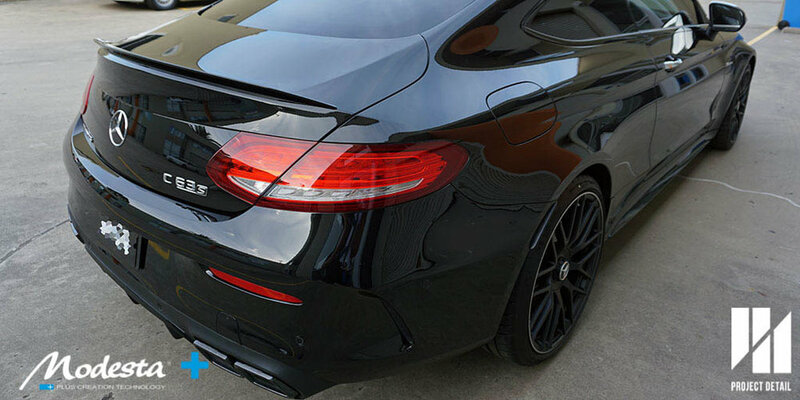 If you would like to consider Modesta glass coatings for your vehicle, contact Project Detail today for an obligation free meeting to discuss your requirements. You can also contact us by clicking here. 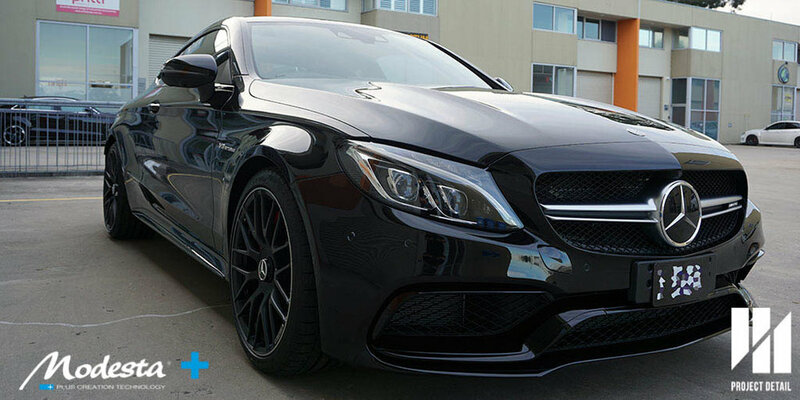 2016 Mercedes AMG C63S Coupe coated with Modesta BC-03 Pure Glass Coating. The wait in Sydney for the new AMG coupe's is finally over. With the first allotments finally trickling in, Project Detail has had the opportunity to detail and protect one of the first arrivals in beautiful Obsidian Black with Modesta BC-03 Pure Glass Coating. 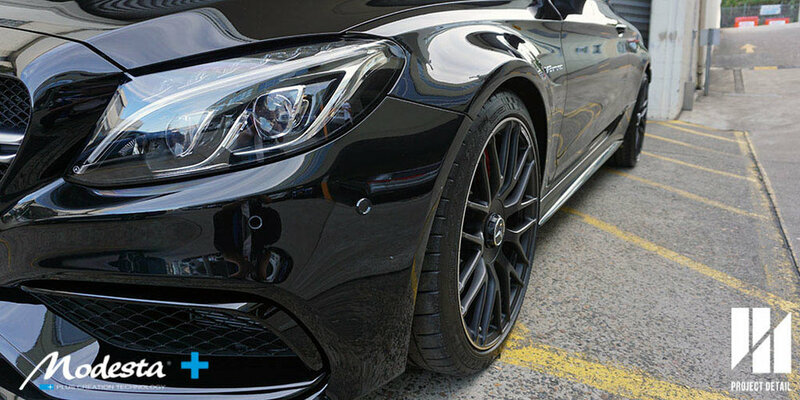 The owner having previously had Opti-Coat Pro and Ceramic Pro coatings applied by Richard to their past vehicles was keen to try something new for their new AMG. 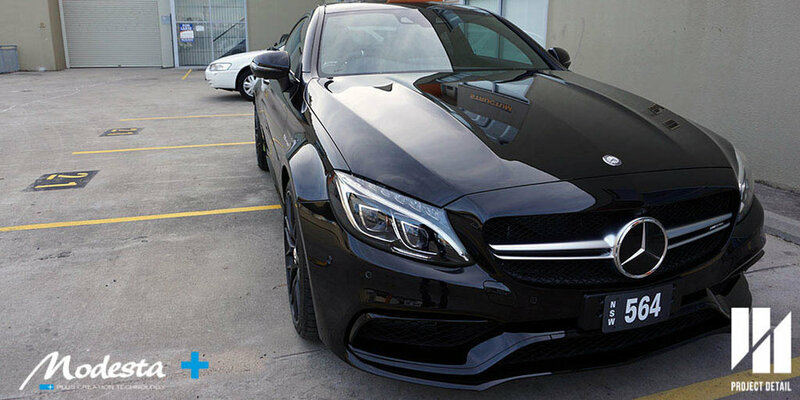 The new Coupe's boast not only a more aggressive look versus the sedan but after speaking to a few clients, we found out there were quite a few changes. Differential setup, exhaust, wider stance and more aggressive flares in the guards to name a few. 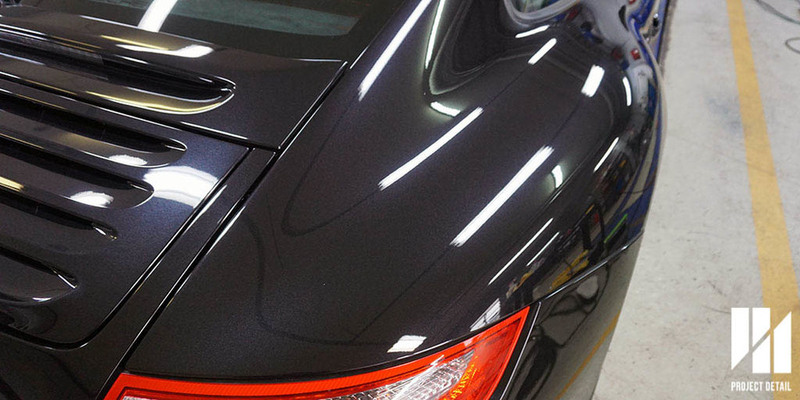 Strict preparation & paint correction is needed before coating for the optimum results. 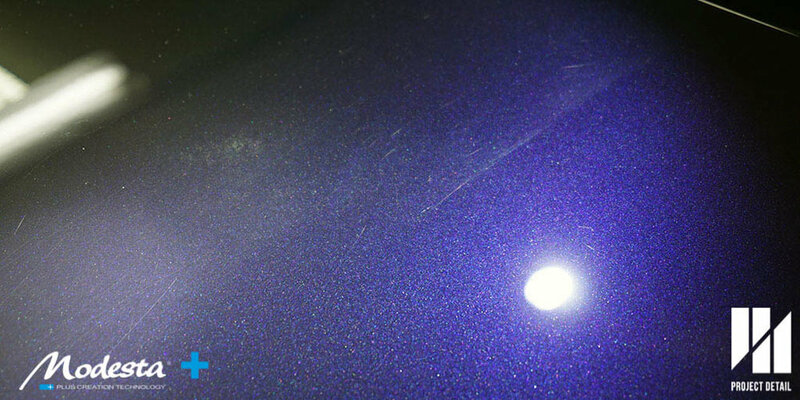 One of the major issues that any decent detailer must face is the prospect of a new car being covered in defects. Educating the client as to why their brand new vehicle requires paint correction can be daunting but it is worthwhile for not only the results but earning the clients trust that you have their best interests at heart. Modesta P-01A Primer & Polish. P-01A cures for 3 hours before coating. 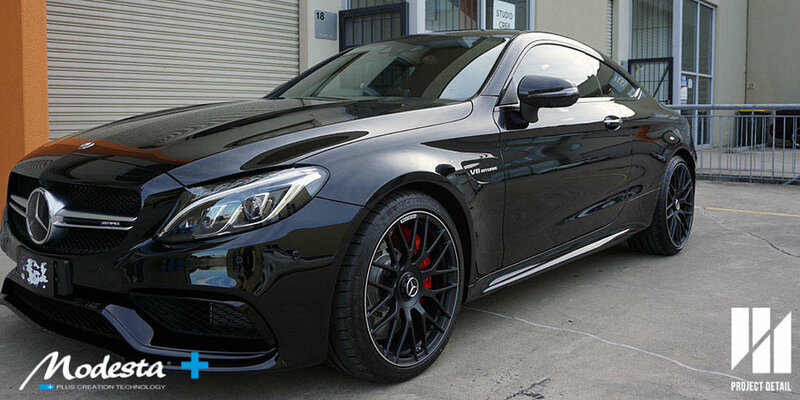 This Obsidian Black AMG Coupe was no different. Arriving straight from the dealership, we inspected the vehicle after our 21 Stage Wash & Decontamination to make note of all the various swirl marks, light scratches and random isolated deeper scratches across the paintwork. interestingly, we found the the rear and front bar's in plastic were the worst and as usual the bonnet and drivers door's were trouble areas also. After P-01A, the gloss and depth is pushed to it's limits before coating with BC-03. 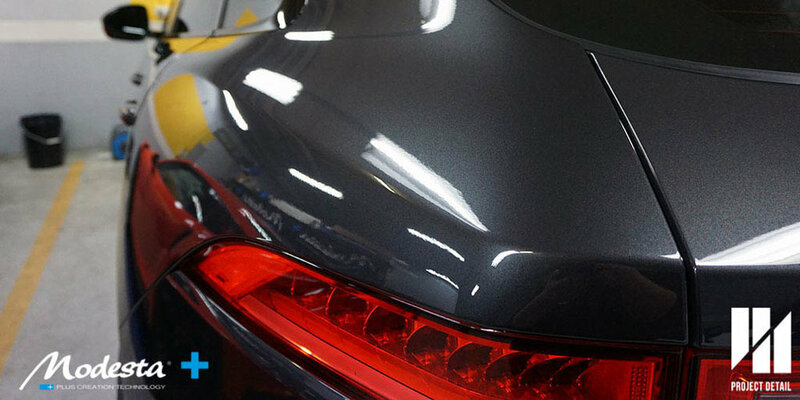 The paintwork was corrected using a combination of Rupes Bigfoot System, Modesta's C-02 Polishing Compound and a variety of pad types. 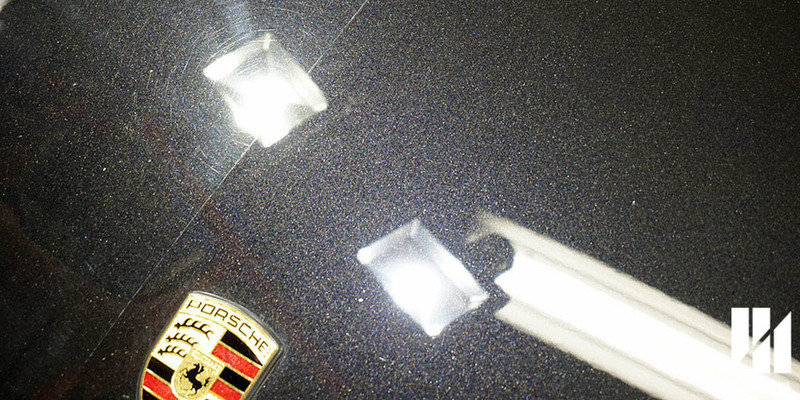 This combination allowed us to fully remove all the defects in the paintwork while leaving a haze and clear finish. 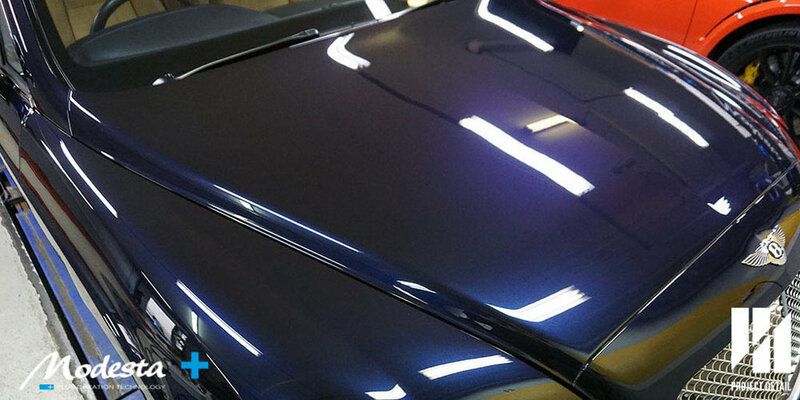 Typically, the paint correction stage can take anywhere from 4 hours to a whole entire day to complete depending on a variety of factors such as colour, hardness of paint, how severe the defects are and also the equipment used and the skill of the operator. 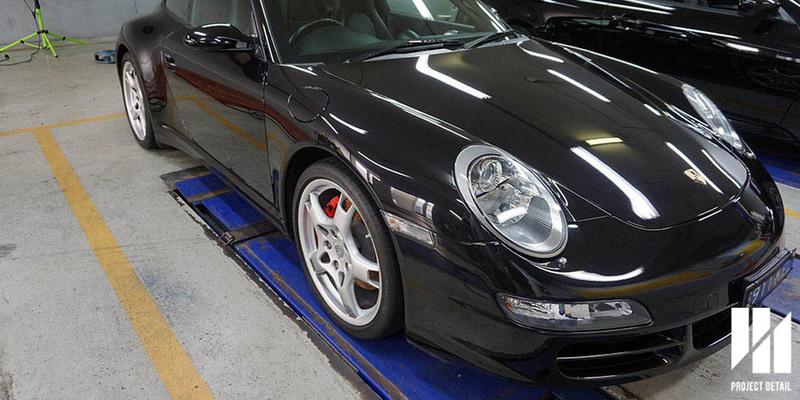 Project Detail's specialised detailing studio has 3 vehicle hoists which allow us not only better access to the vehicle, it actually speeds up the process when polishing the lower portions and the bumpers. 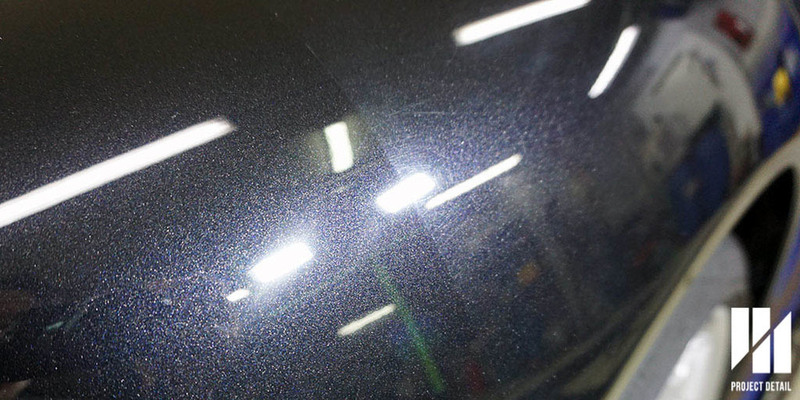 Once the defects have been removed to our satisfaction, we finish the vehicle with Modesta's Primer & Polish P-01A. 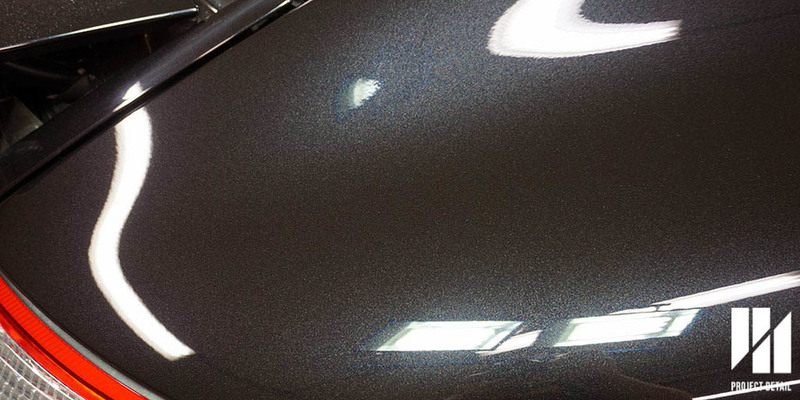 This finishing polish is totally unique to Modesta, the gloss and finish it provides is outstanding, the clarity and richness of the colour is always amazing. 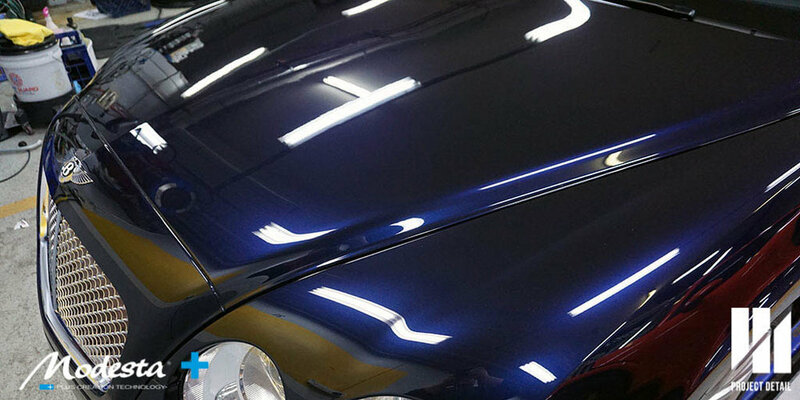 But what makes P-01A even better is the Alkyd Resin within the polish, this Resin forms a special coating which requires 3 hours to cure and harden on the vehicle. This Resin coating is the foundation of Modesta's 'Plus Creation Technology' meaning that it can be layered to increase the overall thickness of the coating. P-01A has a measurably thickness of up to 10μm. 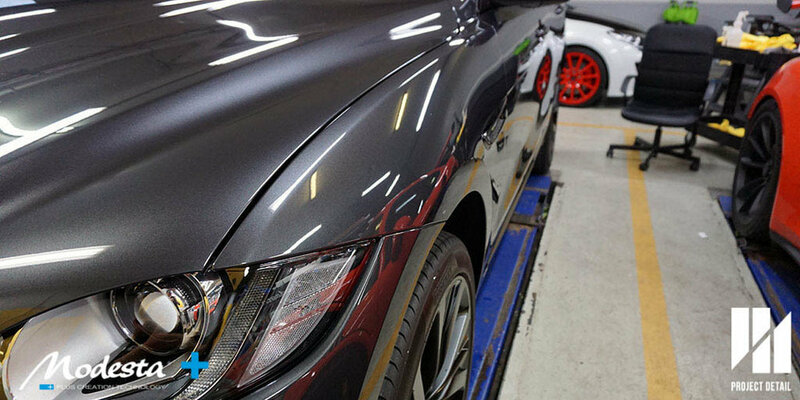 Once formed, the resin coating not only protects the paintwork during the difficult installation of Modesta's coating range but also the increases the bond and effectiveness of the coating to come. 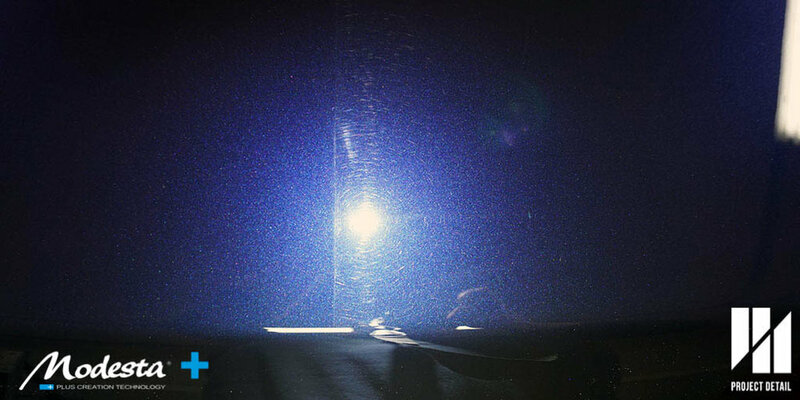 All Modesta coatings must be cured by Infrared in order to reach maximum strength & potential. Modesta is a unique coating and protection system in the fact is has over 6 different types of coatings. Many other brands hail a universal coating for all paint types but this approach isn't logical. With so many paint finishes, some vehicles being used as daily drivers and others for weekend use only, Modesta has a range of coatings designed to suit all these different applications. Modesta BC-03 Pure Glass Coating is all but one in the Modesta Range of coatings. BC-03 is a Pure Glass Coating that is Hydrophilic in nature. This means it is the polar opposite of the majority of the coatings on the market that are Hydrophobic by nature. With 'phobia' meaning a fear of and 'philic' meaning to love, Modesta's BC-03 Pure Glass Coating and BC-04 Nano Titanium Glass Coating provides a out of the box approach to the water spotting problems that plague many other coatings on the market. As the coating is cured with the Infrared lamp, the gloss really begins to show. BC-03 & BC-04 are also unique as they are both applied under 'wet' conditions. Due to their hydrophilic nature, the application is done with a lot of water involved. This is very different to other coatings because getting most coatings wet during the application is a big problem causing hazing, seizing up the coating and early product failure. By being Hydrophilic, the water naturally sheets off the surface of the vehicle. This means that while the water beads may not be as pronounced and as visually impressive as a hydrophobic coating, the flat panels such as roofs, bonnets and boots are more resistant to water spotting. 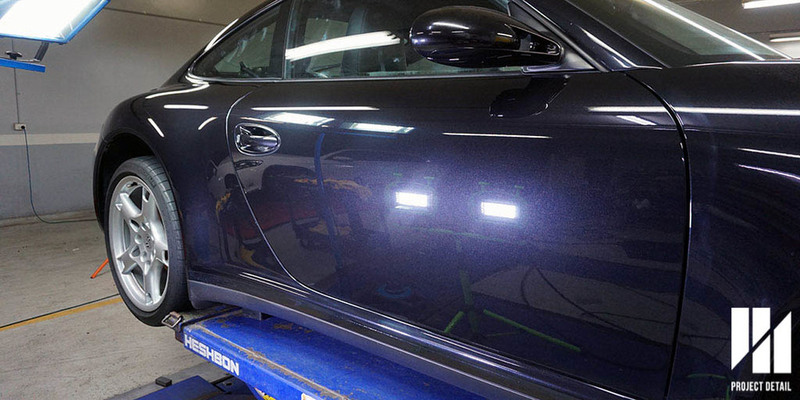 Protecting the paintwork is only one part of the application process for this AMG. The wheels and brakes were removed and deep cleaned before having a spray application of BC-06. This highly durable coating is spray applied through a HVLP (high volume low pressure) gun, allowing for an even and smooth application. Modesta BC-06 Heat Resistant coating for wheels, brakes and even body. BC-06 also protected brake callipers keeping them bright and from discolouration. After - BC06 Rich, velvety and resistant. BC-06 was engineered to be resistant of temperatures up to 1,300 °C. This makes it not just the coating of choice but a necessity for performance brakes and wheels. During the application process, we coat not only the face of the wheel but also the barrel. This gives the car overall better cleaning ability, as well as better aesthetics. Gloss wheels pop while matte/satin finishes become very rich and velvety. Like with all Modesta coatings, after application, curing with Infrared is a necessity. Candy Like Gloss & Pure Protection. 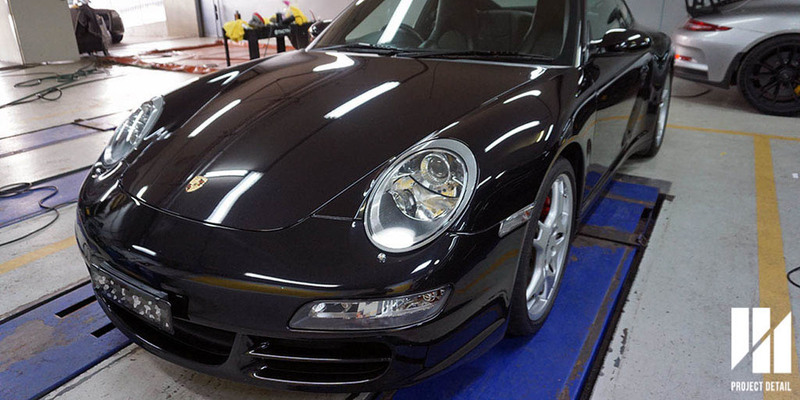 Project Detail also provides the very best in leather, fabric and interior car with Swissvax. 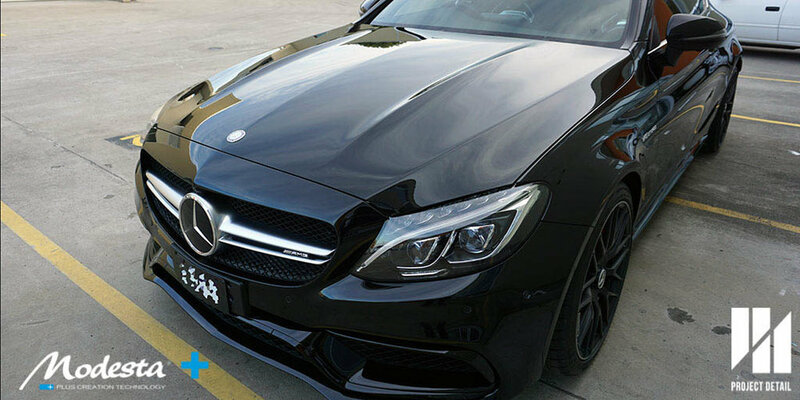 Project Detail is also Sydney's only authorised Swissvax Detailer, combined with Modesta we aim to provide your car with the very best in global car care. Swissvax Leather Glaze, Leather Milk and Lotos Fabric guard in effect. 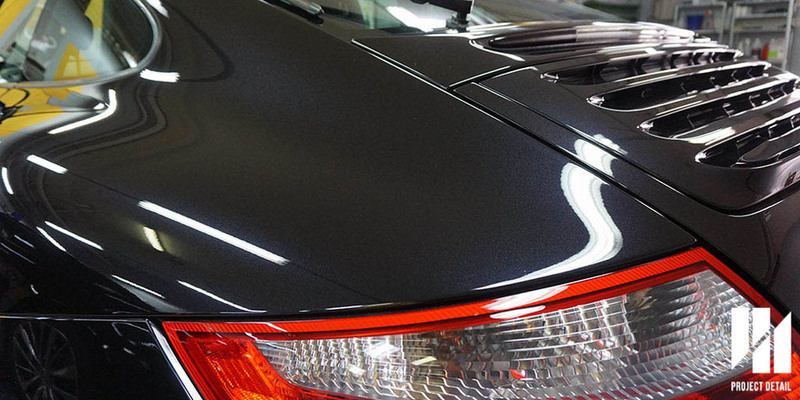 If you would like your vehicle protected, detailed and restored consider Project Detail. We are based in Moorabbin, Melbourne and Gladesville, Sydney. 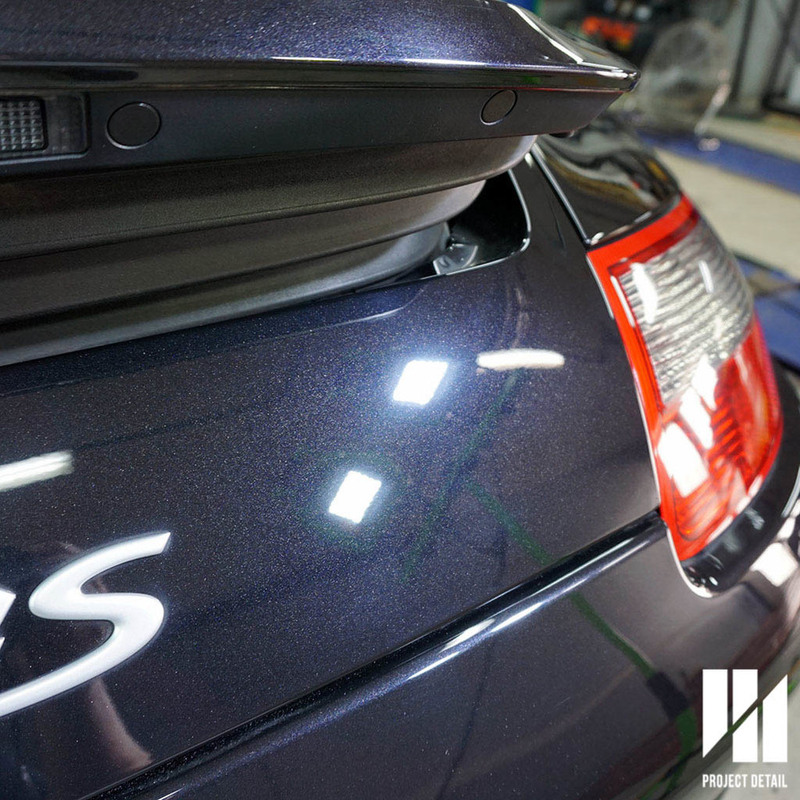 For further information regarding Modesta, Swissvax or any of the detailing services on our site, contact us by clicking here.